Together with its affiliate Stern Ingredients México, the Stern-Wywiol Gruppe based in Hamburg celebrated the enlargement of its production plant in Mexico City and is intensifying product development at the adjoining Technology Centre. Together with its affiliate Stern Ingredients México, the Stern-Wywiol Gruppe based in Hamburg celebrated the enlargement of its production plant in Mexico City and is intensifying product development at the adjoining Technology Centre. The research facility will in future focus on dairy products, beverages and deli foods, too. The plant has two new production lines for food ingredients, and with 4,000 tonnes additional production capacity it will contribute to the group’s success in Latin America. After the facility in Malaysia, this is the second plant to be opened by the Stern-Wywiol Gruppe this year. By placing greater emphasis on the development of applications in the field of dairy products, deli foods and soft drinks such as juices, nectars and concentrates, Stern Ingredients México, an affiliate of the Stern-Wywiol Gruppe, is now consolidating its position as an ingredients expert for the food industries of the Americas. The new focus of the long-established facility in Mexico will complement the already successful development of enzyme systems under the trade name SternEnzym, stabilizing systems (Hydrosol), vitamin and mineral complexes (SternVitamin) and flour and bakery applications under the brands Mühlenchemie and DeutscheBack – the latter specializing in typical regional products based on maize and wheat. 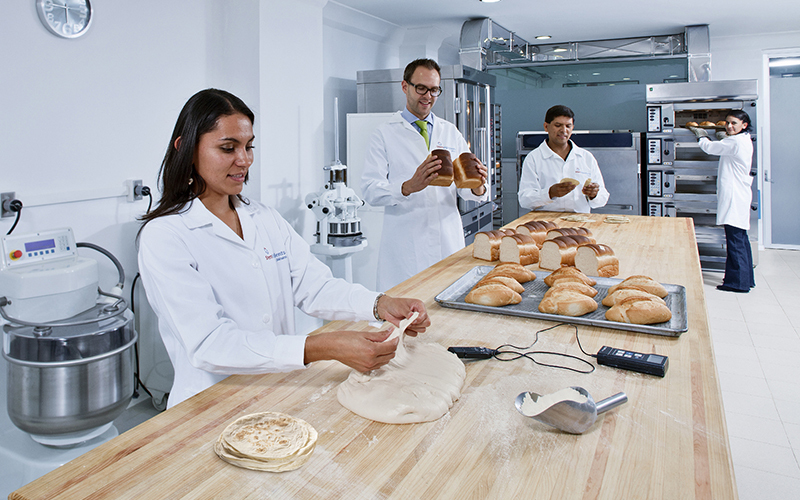 Following the “custom fit” approach of the Stern-Wywiol Gruppe, leading food technologists develop the above functional systems for dairy products and beverages at this state-of-the-art applications laboratory. Furthermore, the owner-managed family business from Hamburg regards the generation of new information on applications at the research centre in Mexico as an opportunity to extend its technical services to North, Central and South America. It has also invested in the plant’s QM laboratory in order to conduct microbiological analyses, heavy-metal detection and a wide range of trial applications according to the latest scientific standards. With around 100 employees and a total annual production capacity of 10,000 tonnes of food ingredients, Stern Ingredients México is the Stern-Wywiol Gruppe’s biggest plant outside Germany. On the one hand, the additional production capacity of 4,000 tonnes will help to meet Mexico’s increasing home demand, and on the other it will open up new export markets.